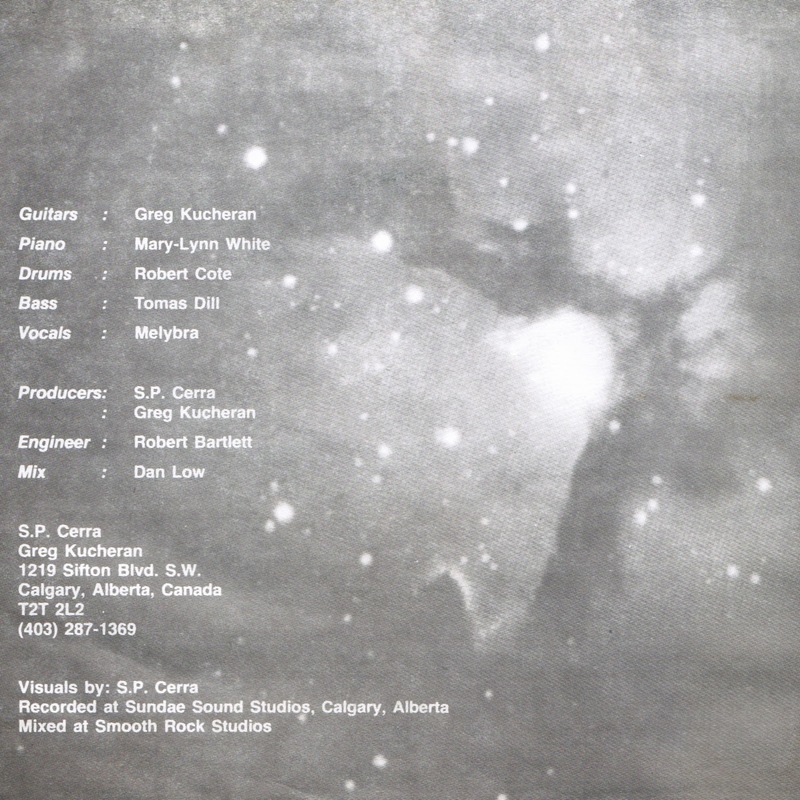 Calgary Cassette Preservation Society: S.P. 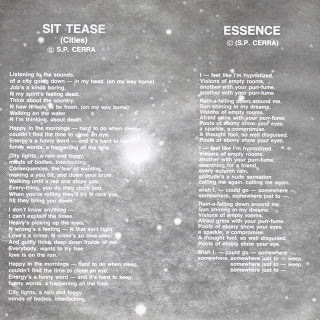 Cerra - Sit Tease/Essence 7"
S.P. 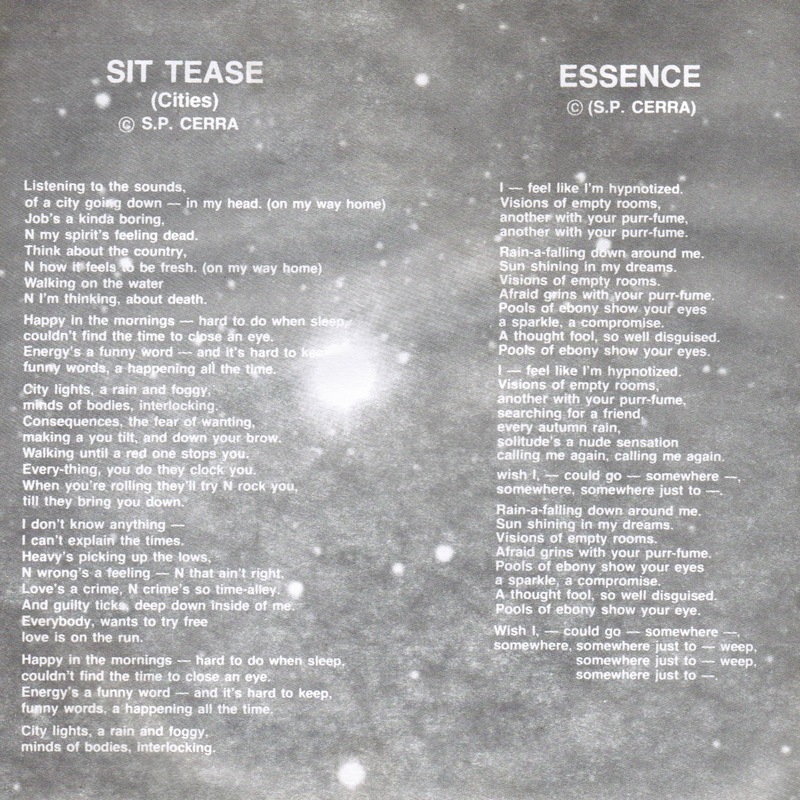 Cerra - Sit Tease/Essence 7"
We're rousing ourselves out of our mandatory pre-Sled Island nap to get back to some posts. It's been quiet here at the CCPS - we've managed to return most of the tapes that we've recently borrowed, so we're going to turn to our vinyl collection for a few oddities. And what better place than this? There's no year on this record, and we're not 100% sure, but we've mostly convinced ourselves that this is a pre-Funeral Factory project - not just because of Mary-Lynn White's presence, but also because of the vocals. Greg Kushner sent us this record a couple of years ago without any explanation. So, of course, we make up our own. Howdy Gene and everyone else at CCPS! Greg Kucheran is, in fact, the Funeral Factory's Religion Darc so you are spot on that this was a pre-FF project for Calgree's beloved goth duo. The story Mary Lynn told me was that "Melybra" was a rather enigmatic cab driver she had met who came across as a bit Mansonesque (Charlie, that is - not Marilyn) and she and Greg were under his spell for a bit and spearheaded these recordings. Mary Lynn's piano is amazing on these recordings.